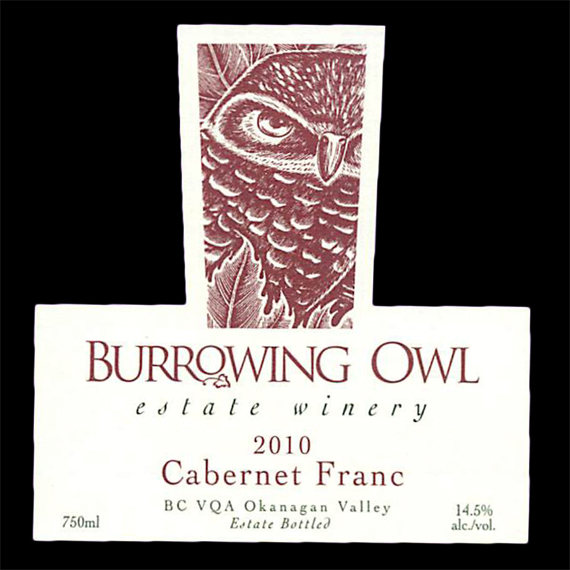 The grapes for the 2010 Cabernet Franc were hand-picked at the end of October, 2010 from different parcels on Burrowing Owl Estate Vineyards on Black Sage Road. The grapes were hand-sorted, gently de-stemmed and slightly crushed into our primary fermentation tanks. Fermentation started immediately after crushing, and peeked at 32 degrees Celsius. At the start, three pump-overs occurred per day which gradually decreased with the increasing alcohol content, thus avoiding the extraction of unwanted tannins. 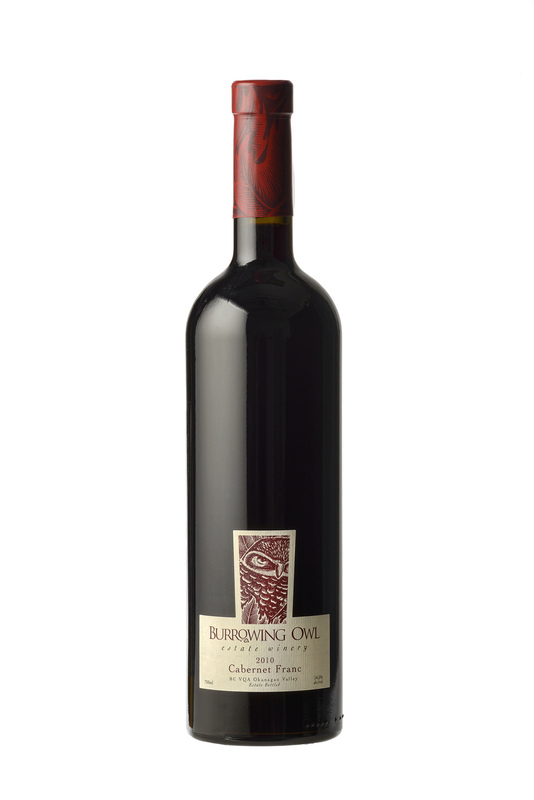 The wine underwent approximately 10 days of post-fermentation maceration to enhance the structure and refine the tannins prior to draining and press of the skins. 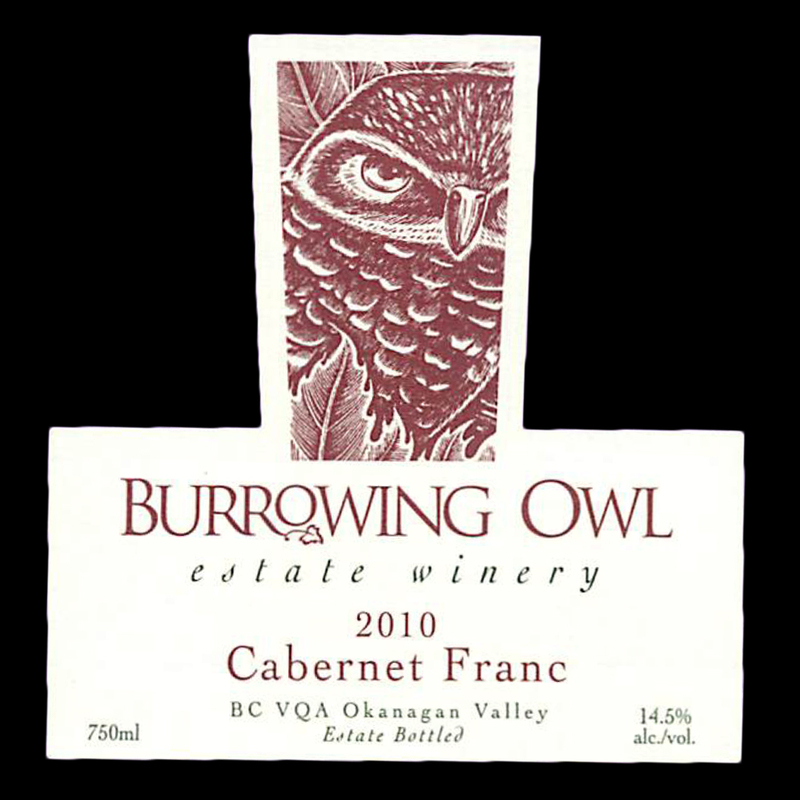 The 2010 Cabernet Franc received 18 months of oak barrel exposure with periodic rackings. The wine produced from the different parcels of the vineyard were aged separately for the first 6 months, and were then blended and aged for the remaining year as one. 100% French oak, 30% new and the rest a blend of 2nd, 3rd and 4th fill.